‘The way we see the world shapes the way we treat it. If a mountain is a deity, not a pile of ore; if a river is one of the veins of the land, not potential irrigation water; if a forest is a sacred grove, not timber; if other species are biological kin, not resources; or if the planet is our mother, not an opportunity—then we will treat each other with greater respect. This is the challenge, to look at the world from a different perspective.’ —David Suzuki. 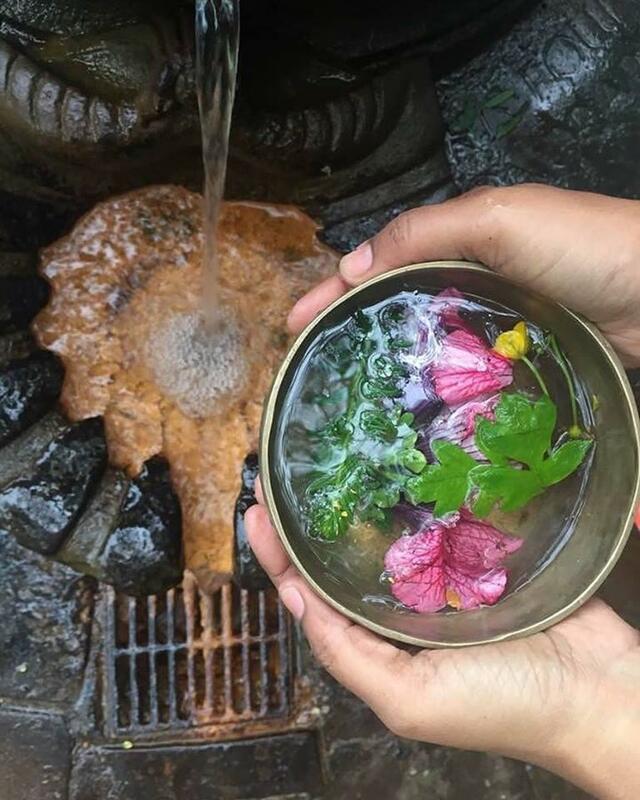 All around us, beneath our feet, under our pavements and our city streets, every second of every day course the waters of natural springs, aquifers and tributaries. London is strewn with ancient wells also: their waters often crystal-clear, many still accessible from deep within our landmark buildings. This abundance of fresh water is why our city was sited here, and why it went on to thrive. Today, our community—of doctors, teachers, lawyers, daughters, brothers, grandmothers—walk, a human stream, from Tower Bridge to Westminster Abbey visiting these ancient water-sources to remind ourselves, London and the world to honour this element that gives us all life. Our pilgrimage, singing songs of gratitude and reverence, may seem a quiet act of rebellion. But it is radical nonetheless. Our songs, our walking, our noticing signals the precise shift we need to make as a species if we are to avert climate breakdown and to survive. Since time immemorial, people all over the world, including those from our own native wisdom traditions, have held water to be sacrosanct. Humans have long led pilgrimages to the sources of streams, doused themselves in holy lakes, made offerings on riverbanks or on the shores of oceans. These were not wanton acts of blind worship: but regular, necessary nods to a deeply-known recognition of humanity’s dependence on water and a keenly-felt gratitude for nature’s benevolence. It is only quite recently that these habits have, for most of us, been forgotten and lost. By resuming these rituals and behaviours, we can start to re-kindle a sense of intimacy with the natural world and an enlarged appreciation of the interconnectedness of all life. We start to understand how little we stand to lose by ‘sacrificing’ all that is self-defeating and polluting in modern, capitalist culture; and quite how much we stand to gain in pushing for the wholesale system change our planet needs if we and much of nature are to survive. By deeply caring for and paying close attention to our waterways, we grow motivated to defend and protect their right to flow, to be free from pollution and to be able play their vital role in the broader web of nature. Water sustains us and every living thing: it slakes our thirst, it wets the soil and seeds from which our crops spring, it yields us fish. Water is where we go to pray and play. We navigate it for adventure and escape, for discovery and communication, for income, for birth, burial and everything in between. Science tells us the result of the alternative, a yawn of collective inaction. Disregarding how deeply our lives are intertwined with water— wasting it, exploiting it, dumping waste and chemicals in it—is clearly now to court disaster, and extinction. Please walk with us and sing with us on our route if you feel moved to do so. Some of us have been walking for eight days straight, from Peacehaven on the Sussex Coast along the Greenwich Meridian line to London. Please consider joining the rights of nature movement, which holds that trees, oceans, animals, mountains, rivers and streams have a legal right to exist, persist, maintain and regenerate, as inviolable as your right to be here. The stronger this movement becomes, the harder it will be for nations, governments or corporations to abuse the natural world. The greater chance all life on earth has of survival. 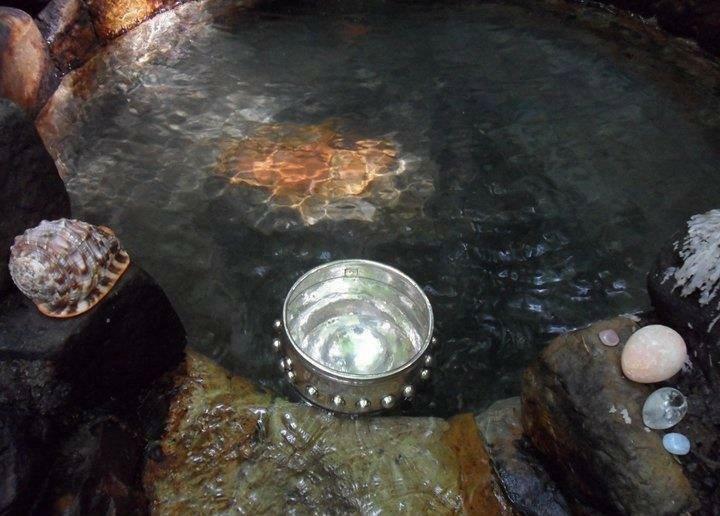 To find your local springs and wells in London search in Facebook groups: ‘London’s Springs, Wells & Waterways.’ And please follow wisdomkeepers.earth if you’d like to join more pilgrimages with lineage holders of ancient wisdom traditions.